Tootsies, I've got lots of things on the table today and I'm absolutely CERTAIN that you'll be interested because it has to do with YOU. Well, the first part is about me, er, my handbags. The second, about you. So, while the post is a little long, stick around. I'm kinda excited about this and want to show you what's on my studio table this week. I found this 100% wool, southwestern-style skirt during the summer. It was a huge wrap skirt (yay! love huge) trimmed all the way around with dark brown leather. Ralph Lauren. Quite the score in my book. Anyway, I knew it would be ripe for fall. I'm pairing it with this amazing belt (translate= strap) that I found. The little metal thingies at the ends actually move around! This is a gray wool tweed I found and fell in love with. 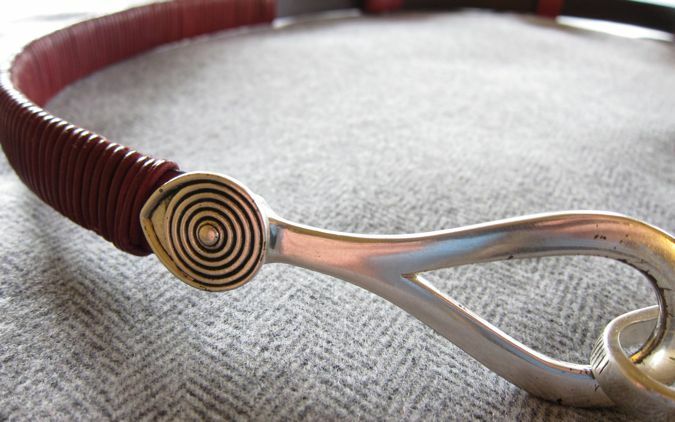 It will pair perfectly with this belt - Chico's - red wrapped leather with the coolest metal hooks on both ends. Aren't the hooks cool? And they're big. Finally, this distressed leather is to die for and I've cut it into a kind of tallish tote shape. The two front pockets are ideal for storing your goodies, and they're deep - my favorite kind of pockets. 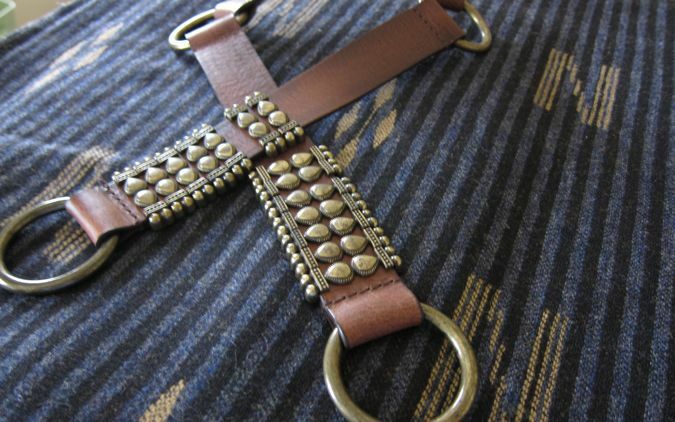 I'm thinking that I'll pair it with this strap with lots of little silver and brass rivets. 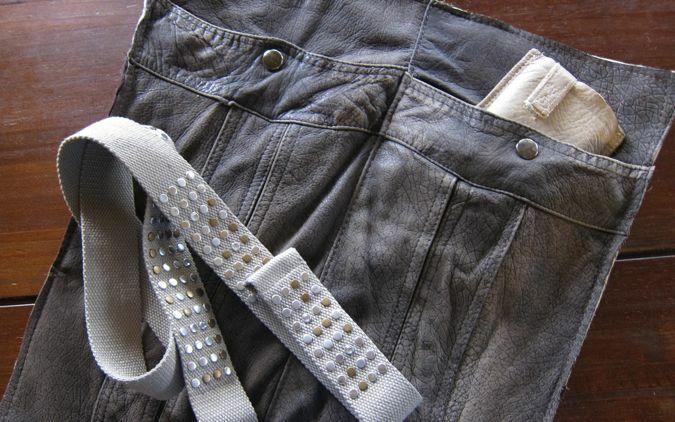 Distressed bling? Enough about me. Now it's time for the YOU section. The other thing on my table will certainly deserve it's own post(s). But I want to give you some information today because this will happen soon, the season is upon us, and exposure is a good thing! I have struggled so heavily with the thought of advertising, bouncing back and forth daily. Today, I finally arrived at a solution that just FEELS right. We're talking a new, fun twist on advertising called "featured" ads. 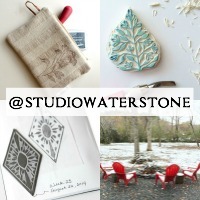 As my readership grows, I want to promote what I feel are fantastic artisans. I'm still working out the details, whether it will be around a theme, or random, etc. I'll let you know as soon as I work out the details which should be within the next day or so. Be sure to stay tuned. Who doesn't want a LARGE, FEATURED AD in October, November, December and beyond? That's what's on my table at the moment. Actually there's a lot more but the other stuff would totally bore you. What are your thoughts? Suggestions? Themes? Colors? Regions? Please offer up your opinions as I value them so very much. Very exciting to have free ad space on your blog, you are awesome!! Of course I'd love it. As far as what's on your table, I love it all. I love gray so you pretty much cinched it for me with what you've got going on today. I've got gray boots, denim and gray boho shirt on today!! Oh ya! Great idea to feature favorites, Miss Lori! 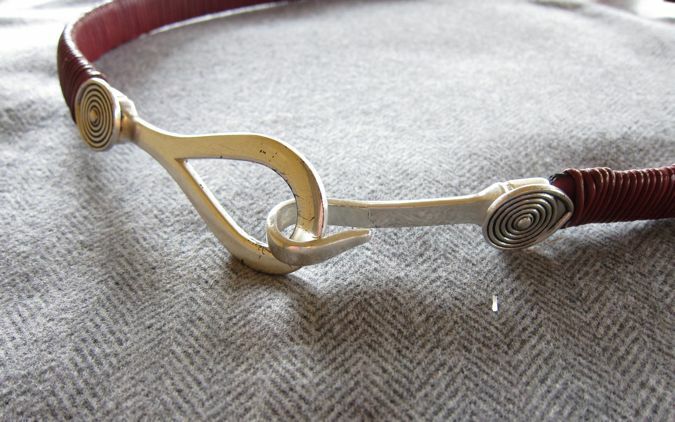 I am such a Chico's belt fan - love that find and I love the gray too! I wish it loved me as much as I love it. And, love your idea of the free featured ads. A regular ole love fest going here. I adore that distressed grey leather!!!! 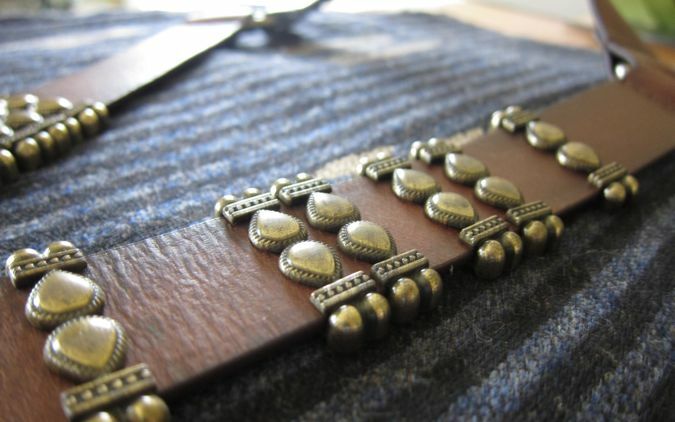 Love the southwestern fabric and the belt for the strap is .. to die for gorgeous!!! Do know what you mean about the bigger the better thing.. however it is a wee bit embarrassing when you check out with a XXXXXXXL .. but hey who can buy all that velvet for $1.99???? I like the last picture with the gray deep pockets. I'll keep my eye out for that one. Also for more info on your upcoming ads feature. Thanks for the opportunity! Your new project looks amazing! I love Ralph Lauren. I'm sure that the final result will be gorgeous. The free ad space sounds awesome. I'm sure that you'll have lots of takers. I bet that in return you will get a lot of free promotion from the people who advertise with you because they'll all be so excited about it, they'll want to tell everyone. Lori, you are the sweetest! These days, when everyone is nickel and diming us...it's so refreshing for people like you!